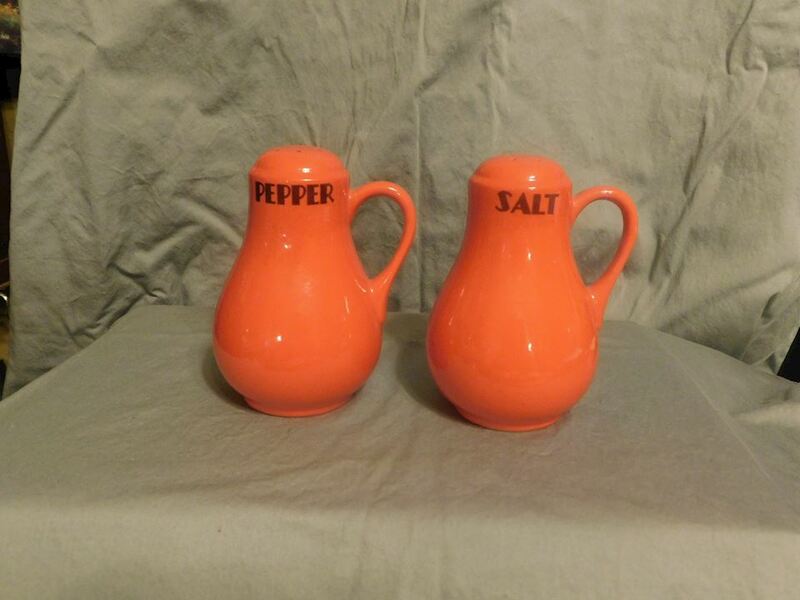 Unmarked Hall handled Chinese Red Salt and Pepper. Cork stoppers. Each are five inches tall.